It is registered as a non-profit organization and looking forward to getting the 501 (c) (3) non-profit certification from the Internal Revenue Service. Please visit out Programs tab on the home page to get a gist of most things we do. Our Mission is to build a cohesive America, where no American has to live in anxiety, discomfort or fear of another American. If we can learn to respect the otherness of others and accept the God given uniqueness of each one of us, then conflicts fade and solutions emerge. The simple reason for conflicts between individuals, family members, community, religions, races, ethnicities and the nations is because we don’t know the full truth about other. Whatever we have learned or hold against the other is based on myths and what others have said. Finding the truth is our own responsibility and it sets us free from anxieties. However, It takes time to know the other and remove the ill-will and it is worth it. How often have we caught ourselves in our bias towards others, be it conscious or unconscious? Instead of dismantling it which is our inherent desire, we keep piling on more of it creating a deeper chasm between us and the others and more frustration. Center for pluralism serves as a catalysts in promoting the ideal of “knowing each other.” Knowledge leads to understanding, and understanding to acceptance of another point of view. Our programs are designed to bring Americans Together; the more often we see each other in social, cultural, civic, religious, political and other settings, the lesser the conflicts would be resulting in fewer misunderstandings and misperceptions between us. 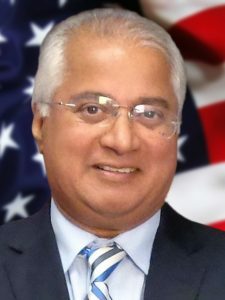 We need to reassure each other, including the disconnected ones among the White Americans, that together as Americans, we are committed to safeguarding the American way of life. No American needs to worry about losing his or her way of life. As Americans we uphold, protect, defend and celebrate the values enshrined in our Constitution. As a process of ‘knowing each other’ to mitigate conflicts and nurture goodwill, we have added many programs to our list of established programs that serve to facilitate removal of myths about others. We will continue to bring non-stop actions in practicing pluralism in religion, politics, society and culture and be a catalyst for a safe and a secure America for each one of us. It is registered as a non-profit organization and looking forward to getting the 501 (c) (3) non-profit certification from the Internal Revenue Service. The Board of Directors will govern the organization. Individuals representing different faiths (and no faiths) and political parties will be the council of advisors with two year term. Their role is to offer leadership in having their faith and political affiliation represented in our programs and outreach. All the names will be listed once we have the full slate. CFP is an all inclusive organization. Individuals committed to support the ongoing work and connect us with resources to take the message to community at large. committed volunteers to coordinate events in DC and Dallas. Executive Director and two staff members to run it on a thin budget. Donors to fund the organization and build long term financial sustainability. Some of the programs will be named after them and they will be the chair for the event or events. Our Mission is to encourage individuals to develop an open mind and an open heart toward their follow beings. If we can learn to accept and respect the God given uniqueness of each one of the 7 billion of us, then conflicts fade and solutions emerge. We believe that knowledge leads to understanding and understanding to acceptance and appreciation of a different point of view. Dr. Karen Hollie-Thibodeaux’s life has been used greatly by God: as a pioneer when He led her to establish Grace International Seminary in 2007; and as a trailblazer when He gave her the vision to plant a church where individuals can reach their greatest potential. Her commission from God to plant a globally diverse, celebratory church is being fulfilled. It is a church that will empower, enlighten, and encourage the unchurched, alienated, and the lost to a life-changing new beginning through teaching, preaching and evangelism. Upon this premise, Lifeway Church of Dallas was founded with Dr. Hollie-Thibodeaux as the senior pastor. Dr. Hollie-Thibodeaux is an Ambassador of Peace in 2008, with the Universal Peace Federation. As an Ambassador of Peace, she travelled to Europe and Asia, and Middle East regularly promoting world peace. She serves a clinical Psychotherapist and is president of Life Change Agents Enterprises. Fatima Argun is an international marketing, strategic planning & management expert and business development executive with a developing expertise in organizational development, facilitation and conflict management. Her experience includes work at senior levels with organizations such as Booz Allen Hamilton, the US Department of Commerce, The US Senate Judiciary Committee, MCI WorldCom, and the World Bank. She is presently engaged as a strategy consultant, representative, educator, advocate and fundraiser for NGOs and as an advocate to empower women through leadership and entrepreneurship skills. 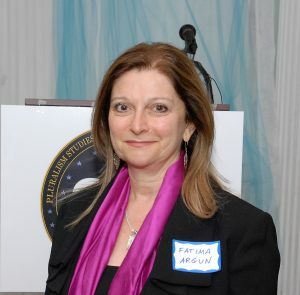 Fatima serves her community in a number of capacities, including as a member of the Arlington County Democratic Committee Steering Committee, and Outreach Committee Co-Chair. She was recently elected to the Lee Highway Alliance Community Advisory Council. Ms. Argun is an MBA graduate of the Johns Hopkins University. She has studied conflict management at the School for Advanced International Studies (SAIS) and the United States Institute of Peace. In addition, Fatima holds a Masters degree in Public Affairs (MPA) from the Lyndon Baines Johnson School at the University of Texas-Austin, and has studied at the Sorbonne in Paris, France. Ms. Argun is proficient in Turkish, and is conversant in French. Nothing will change if we don’t make the effort. Dear God, bless us with an open mind and an open heart toward fellow humans. Dear God, help us remove the arrogance and ignorance so that love of our own faith does not become a basis for prejudice toward others. Dear God, help us with compassion and fairness, two of your primary attributes, toward fellow humans. The Blogs are pluralism oriented, and the Websites are of other organizations we feel comfortable recommending to, we believe all of them offer solutions to conflicts and are inclusive.